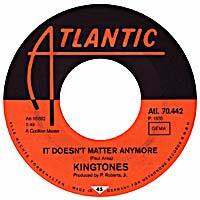 In December of 2004, while searching the web, the Kingtones discovered that their recording of "It Doesn't matter Anymore," had been released in Europe back in 1970. It was the exact same recording released in the United States, only this one was on the Atlantic Label: Atl.70.442. It is not known how many countries it was put in or how many records were sold. 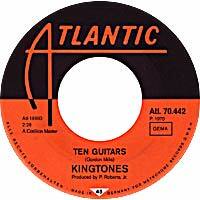 What is known is that this puts the Kingtones into a new musical category: International Recording Artists.